List your home on the YES MLS-NEOHREX (Northeast Ohio Real Estate Exchange) or Mid-Ohio Valley MLS * and REALTOR.com® for a one time low fee. Why should I List in MLS? Well, there are two major benefits when you List in the MLS. The first is the amount of exposure to the Washington County, OH real estate markets that you will get. As a For Sale By Owner your home is not Listed in the MLS, where Realtors® can go to search for homes for their prospective buyers. These type of buyers make up 85% of the market, and obtaining this portion of the market can result in a quicker sale and/or a higher selling price. The other benefit of being a For Sale By Owner and Listing in the MLS is that you will save a ton of money! When you List in the MLS you are still a For Sale By Owner, so you will not have to pay half of the commissions that you typically would have to pay with a traditional Realtor®. You just pay a low flat fee up front, and save thousands of dollars in selling commissions. 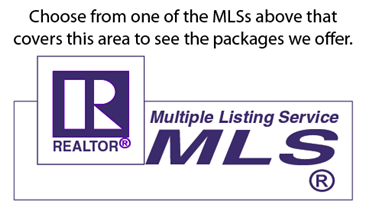 As you can see, your best choice is to List in the MLS.